Most the flowers in my yard have been long gone, but the Lantana continues to grow and bloom! 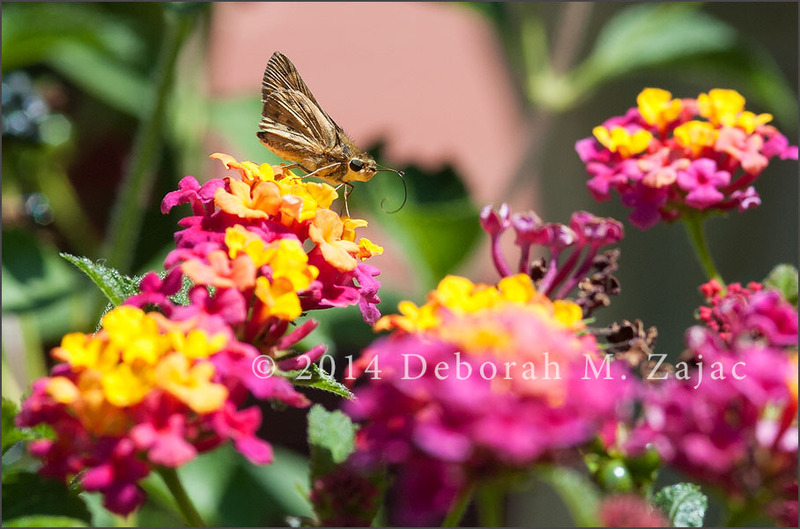 The Fritillary still comes by to sip on the Lantana, and yesterday I had a Skipper of some sort stop by. 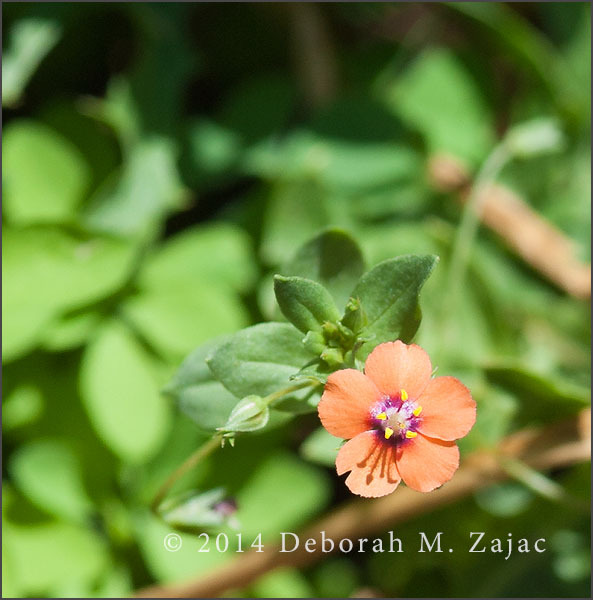 Growing under, and around the Lantana I have some wild Scarlet Pimpernel. Most consider this a weed and pull it out, but I let it grow. I like its tiny flowers. They’re only as big as my little finger’s nail. Change is definitely in the air around here. There are fewer and fewer Finches coming to the Feeder this week. I think they’re beginning to move on. 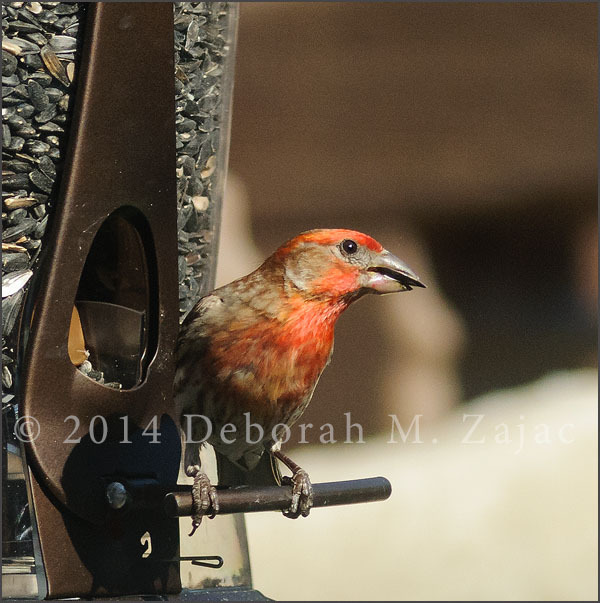 Here’s a male House Finch perched on the feeder. I really like this feeder. It really is Squirrel proof! ( This was shot through a double glass window so it’s a bit soft). The Anna’s Hummingbirds are still around, but I haven’t been able to get a decent image of them from my window. I’m going to get myself a blind during the off season so I’m ready for them next Spring. It’s a Holiday week-end ( Labor Day on Monday) here in the States I hope to get over to the coast, or to some favorite birding places to see if any of the winter birds are starting to arrive. It’s also He-Man’s birthday tomorrow so, I’ll be in the kitchen baking the cake he’s requested: Chocolate cake with custard filling and vanilla frosting. I hope you all have a great week-end. The images of the garden are beautiful, Deborah. You captured very lovely color and lighting. Next Next post: P52 36/52 Guarding his Territory!